What can I find inside Mosaics? 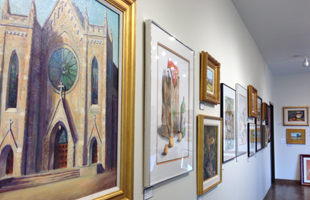 This gallery features original paintings and pottery from regional fine artists. 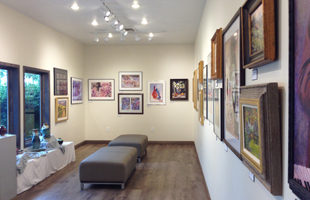 Currently featuring oils, watercolors and mixed media work from owner Debbie Reed, Mosaics offers one-of-a-kind, beautifully framed pieces. A wide variety of ceramic art is also available. Potter Daria Claiborne rotates fresh work regulary at Mosaics and Reed has her clay work available as well. Giclee prints are available of many of the images. 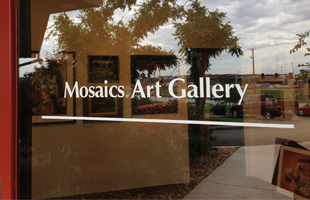 Mosaics Art Gallery is a great place to shop for gifts and fine art that will grace your home and office for years to come.